Swiftype improved our search results immediately upon implementation, but also gave us the tools to precisely control our relevance algorithm and steadily improve search over time. Instructables grew out of the MIT Media Lab in 2005 as a central place for creative builders, artists, and others to share their handmade projects as “open source hardware.” Since that time, the website has been acquired by Autodesk, Inc. and has grown from only a few hundred projects to now over one hundred thousand. Instructables spent years working with Solr, then tried using an external search provider, but employees remained frustrated by a search bar that returned very basic results for a wide range of queries. Robust search algorithm, precise relevancy controls, low-maintenance solution. Instructables employees were frustrated by a search engine that returned very generic, title based results for broad searches and failed to return results for misspelled or overly specific queries. Moreover, the Instructables staff had spent countless hours tracking and quantifying the quality of their user-generated content by popularity, tags, and other metadata, but their search only returned very simple text matching results. Because search is the core navigational tool on the site and the website receives hundreds of thousands of daily searches, they needed a solution that would deliver better results. Immediately upon implementation, Swiftype’s robust language modeling technology and relevance algorithm dramatically improved results for queries that formerly returned very few or no results at all. Instructables employees quickly noticed that Swiftype automatically detected misspellings, even for words which are not in the English dictionary but are nevertheless common on Instructables.com (for example, “arduino”). In addition, Swiftype’s semantic analysis capabilities handled multiple word queries far better than their previous provider, ensuring that users would still see a full set of results for longer queries (for example, “diy stethoscope”). To improve their search results even further, the Instructables staff incorporated vast amounts of metadata information about each project into their search algorithm, indexing data such as project popularity, the number of steps involved with each project, page views, and much more. Instructables team members knew these pieces of information were critical for determining the best results, but until Swiftype gave them the tools to control how each of these attributes impacted their search results, they had no way of capitalizing on this wealth of information in their project database. With Swiftype, the Instructables team could now tune their relevance model to match their expectations—after all, the Instructables staff knew better than anyone else what the Instructables community wants to see for a particular query. After implementing Swiftype on their main website, the Instructables team easily integrated the same search engine on their mobile applications. With the same engine powering search across their website and mobile applications, any customizations or adjustments that the Instructables staff makes in their Swiftype dashboard immediately take effect across all of their customer touchpoints. 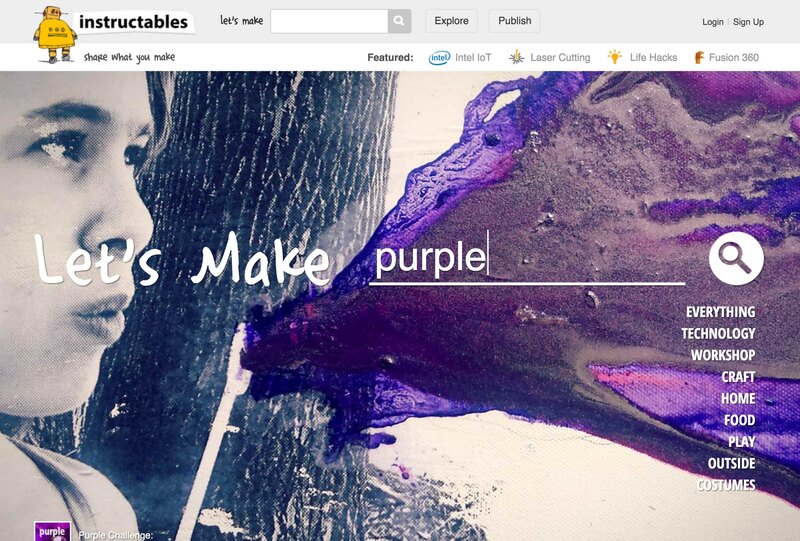 Furthermore, Swiftype’s detailed analytics help inform Instructables’ new content strategy. By looking at the top searches that return no results, the Instructables team can quantify the number of users interested in specific topics and strategize on how to go about creating new projects.